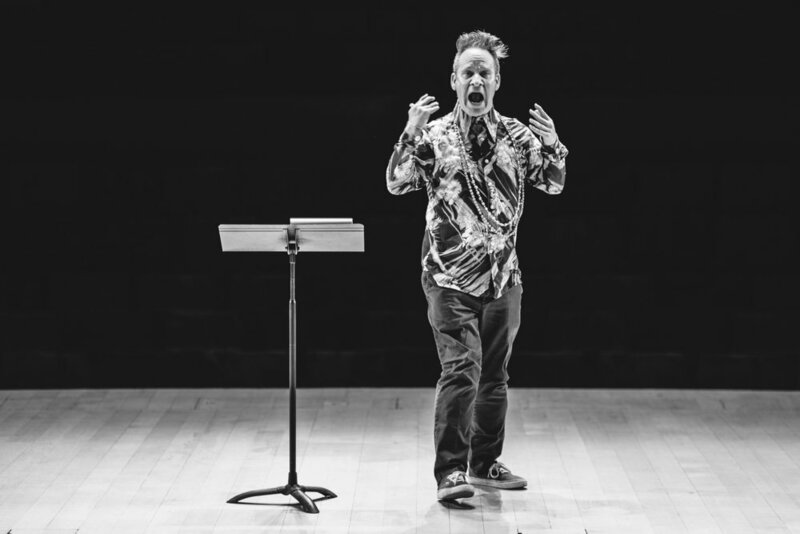 Neither director Peter Sellars nor conductor and Los Angeles Master Chorale artistic director Grant Gershon might have come to know the music of Renaissance master Orlando di Lasso were it not for one of the most celebrated composers today, their mutual friend John Adams. Sellars and Gershon had collaborated with Adams on a number of his works, including The Gospel According to the Other Mary, which Gershon and the Los Angeles Master Chorale brought to Ravinia in 2013. Adams would go “in another direction for The Other Mary,” as Sellars puts it, but the recommendation stayed with Gershon, who began poring through pieces by Lasso, seeking repertoire for the Master Chorale, and came upon Lagrime di San Pietro—The Tears of Saint Peter. Sellars and Gershon’s ultimate, wholly unique conception of the work comes to Ravinia on September 13, [and both masterminds will join Ravinia President and CEO Welz Kauffman on the Pavilion stage for a further discussion of its genesis immediately before the performance]. “It is to the Italian Renaissance what Bach’s B-minor Mass is to the Baroque period,” assesses Gershon. “It’s an incredibly towering masterpiece and is a summing up of everything that this great composer had learned and experienced over his long lifetime. He knew it was the last thing that he was going to write. He was virtually on his deathbed as he finished it. It’s interesting because again, similar to Bach and the B-minor Mass, he took incredible pains to make sure that the piece would be engraved in the most elaborate fashion for posterity. And yet it’s hard to imagine that he actually thought himself that this piece would ever be performed. It’s not a liturgical piece. “I remember Peter saying that if we were to actually undertake this project,” says Gershon, “it will be the hardest thing that either one of us will have ever done. I thought it was hyperbole at the time, but it turned it to be true. Over the course of the next three years, we were working on other projects and would periodically come back to this idea of staging Lagrime. 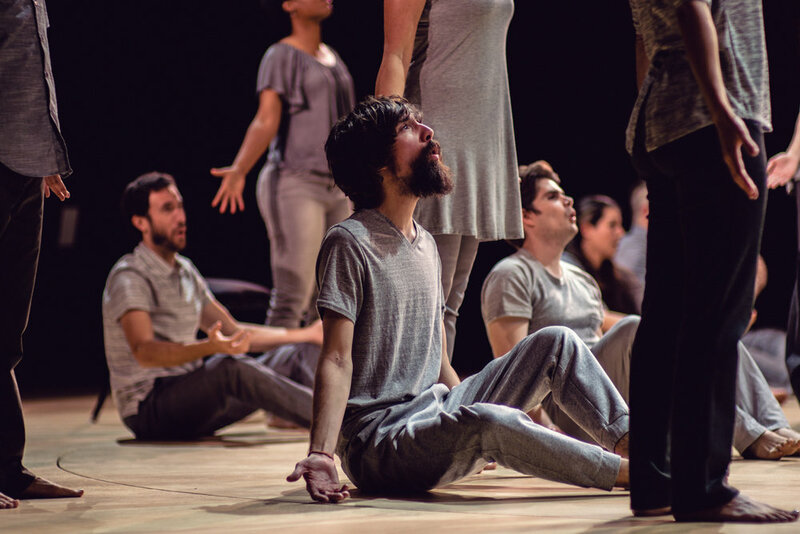 One of the things that we thought about from the beginning was that the staging itself should be very simple and austere: no sets, no props, the performers in street clothes—really let the music and the singing movement speak for the piece. I think that was a very wise decision. 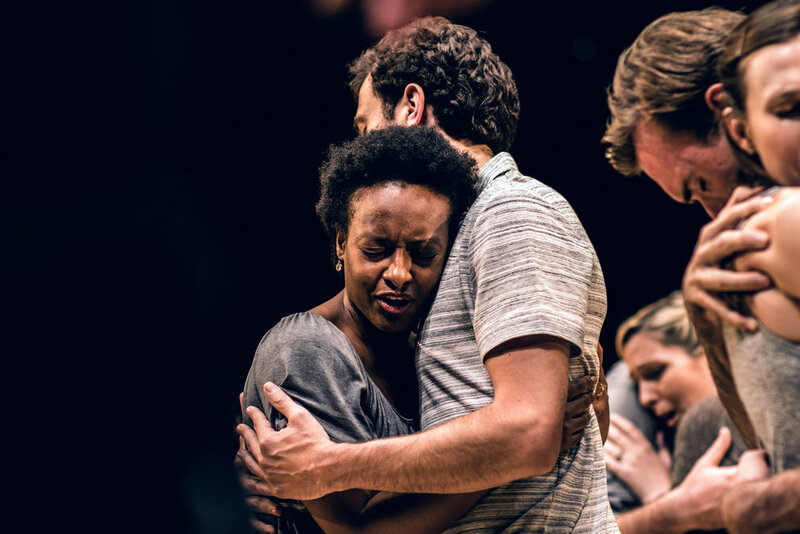 It leaves it to the audience to focus purely on the singers singing, and then there’s no barrier between the audience and the emotional and the spiritual content of the piece. “What I was able to do working closely with Grant,” Sellars adds, “is create a kind of sculptural sound. In a standard concert of Renaissance polyphony, everyone is facing the same way. What you can do as soon as you start turning people in space is—the voices are in motion, and the whole space comes alive with these harmonic convergences and dissonances and surprising shifts of color and emotion. To really hear that as a moving, living experience is quite incredible. And we’re able to prepare a kind of tonal shift with physical shifts of orientation. That is quite amazing. The breakthrough is not only musical, as Sellars sees it, but spiritual. “That kind of pain and hurt and damage is inside this deep musical language: the idea that Peter made a big mistake. When the cops came to arrest Jesus, they said, ‘Do you know this guy?’ and Peter said, ‘No,’ and Jesus looked at Peter. And then the cops took him away. These 21 madrigals are about what is in that one look—when Jesus just looked at Peter and then was taken away. And Peter saw that look the rest of his life. Of course, it’s classic synesthesia, all the senses overlapping. Music is there to give you the sense of touch, the sense of smell. In the very first number, Peter sees all the police, all these swords and spears: ‘I don’t want you to pierce me. And so I’m going to escape.’ Of course, what he doesn’t realize is that the arrows of Jesus’s gaze will pierce him the rest of his life. Veteran award-winning journalist and critic Dennis Polkow is a columnist for Newcity Chicago and a Chicago correspondent for London-based Seen and Heard International.